Lacy Phillips offers clients an unwavering passion for interior design, combined with a commitment to creating unique and personal spaces. 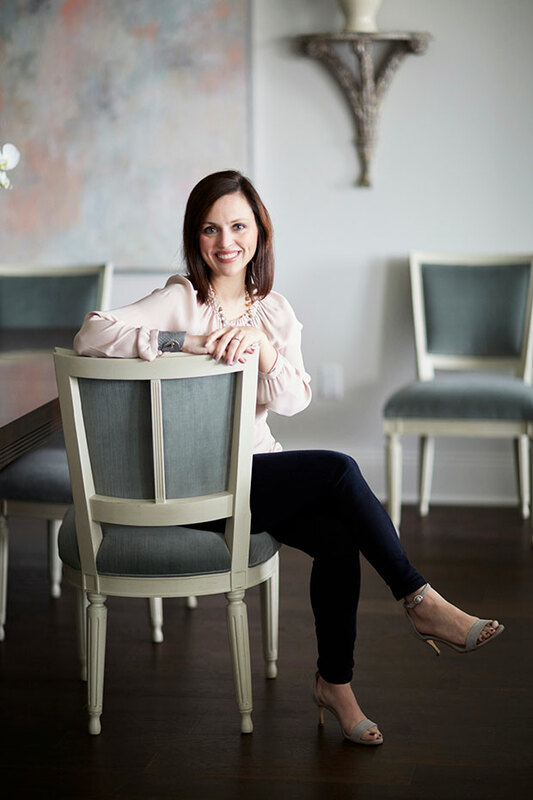 As lead designer of her firm, Lacy Phillips Designs, she is known to create interiors that are elegant, fresh, and sophisticated, as well as comfortable and practical for daily living. Her design knowledge carries a versatility that allows her to work on a wide range of projects, which she executes with reverence to the principles of interior design. Antiques and clean lines co-exist, texture and scale are celebrated, and strategic doses of color deliver exclusive elements found in her projects. Lacy focuses on the needs of the client and the space, enhancing the atmosphere of the casual family home or creating the luxury escape space. Ultimately, Lacy believes a successful project results when the space reflects the interests and personality of her clients with a level of fine-tuning that only an interior designer can provide. Each project is as unique as its owner, offering Lacy opportunities to explore a client's personal style and needs and create a forever space. Lacy’s design career began in Dallas, Texas, where she worked under esteemed residential designer Shannon Bowers, and continued when she later returned to her hometown of Pensacola, Florida. From her downtown studio, Lacy and her team design and manage projects ranging from beach houses to downtown condos locally and beyond. She is a member of ASID, the American Society of Interior Designers, and a member of Southern Living / Coastal Living Designer Network. Lacy Phillips Designs is a full-service interior design firm. We are engaged in the planning stages of a project to the final touches, providing our clients an efficient and enjoyable design process. Collaboration and project management with the architect, contractor, sub-contractors, etc. Copyright 2017 Lacy Phillips Designs. All Rights Reserved.